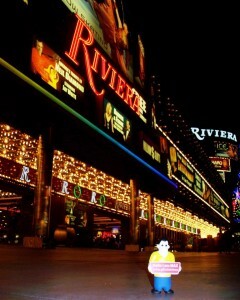 It was a warm, arid evening when MAX stepped off the plane in McClaren Airport in fabulous Las Vegas, Nevada. MAX brought his favorite crew – Kevin Hodak, Sales Engineer, Anne Murphy, Channel Marketing Manager and Kelly O’Bray, Post Sales Support as well as his favorite MVP, Dave Sanders. 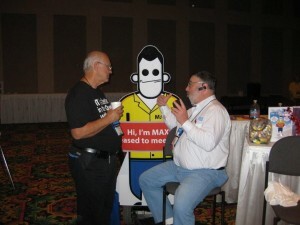 They were itching to make a scene at the SMB Nation Fall conference at the Riviera hotel. 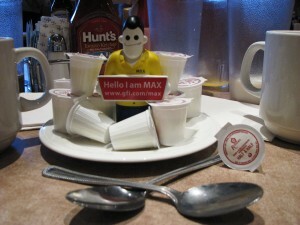 And a scene they made – MAX and the crew were everywhere! They were at the Eiffel Tower for dinner with several Microsoft MVPs; they were at the Palms with convention attendees at the Microsoft VIP party; they were doing lab sessions, demos in the booth, schmoozing with fellow partners and having a great time doing so. 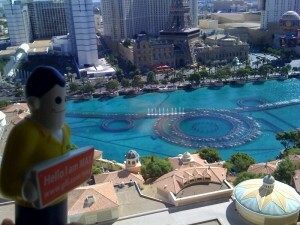 Overall, the trip was deemed to be a success. 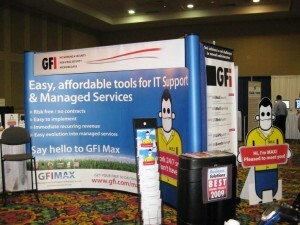 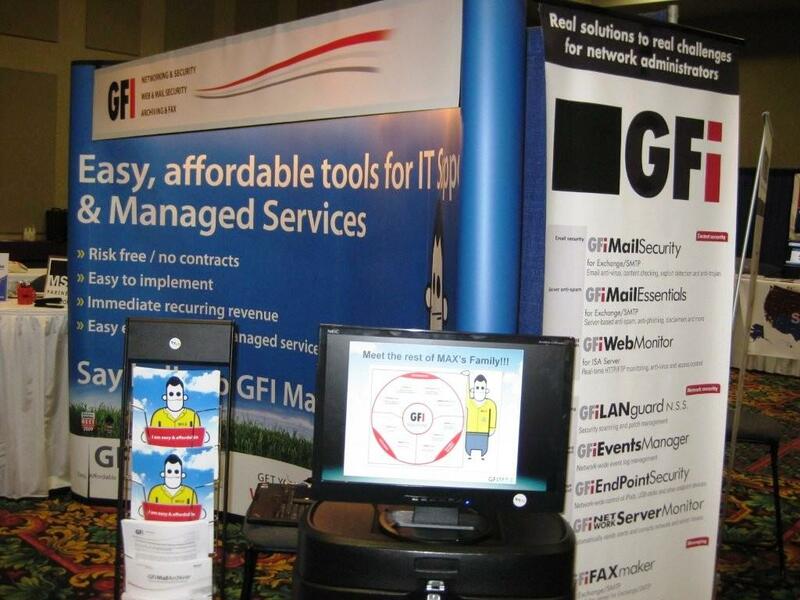 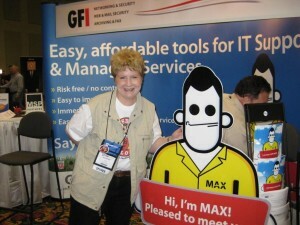 MAX said that his favorite part of the trip were the GFI partners that came to the booth to pay their respects. He was tickled when they told him how grateful they were that he was able to provide a terrific MSP product at such an affordable price. At the end, MAX was sad to go. 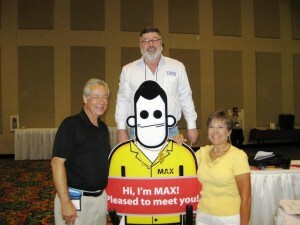 He packed up his bags, took the money he won at the blackjack table and headed back to Cary NC, dreaming of his next trip to Connectwise in Disney World.